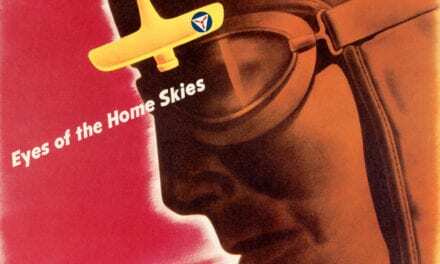 This series of vintage U.S. Marines recruiting posters were created during WWI. 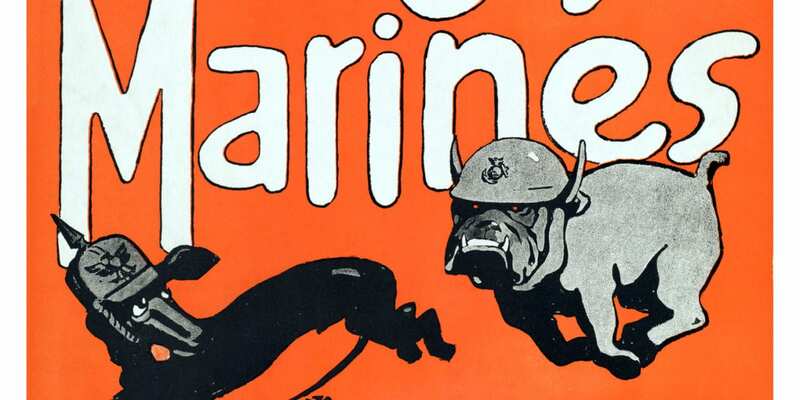 The posters give a glimpse into the culture, nicknames, and battle cries of U.S. Marines in the early 20th century. 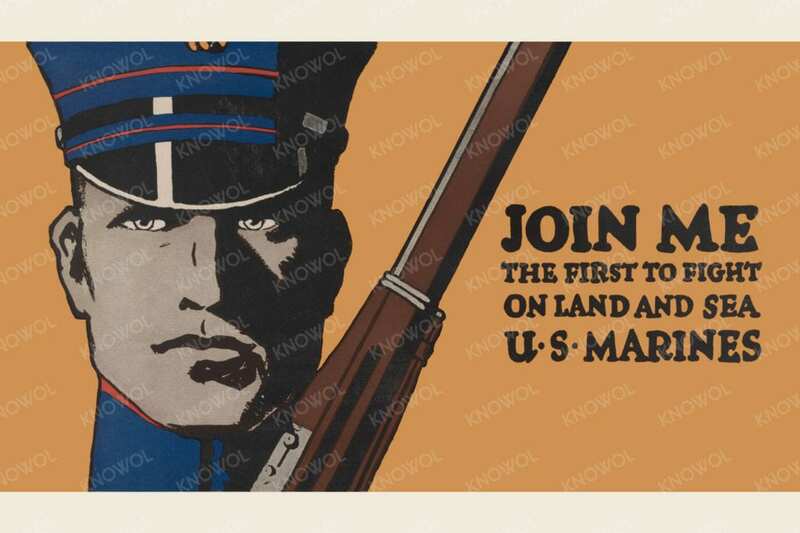 These WWI U.S. Marines recruiting posters have been restored by KNOWOL. Reproductions are available here. 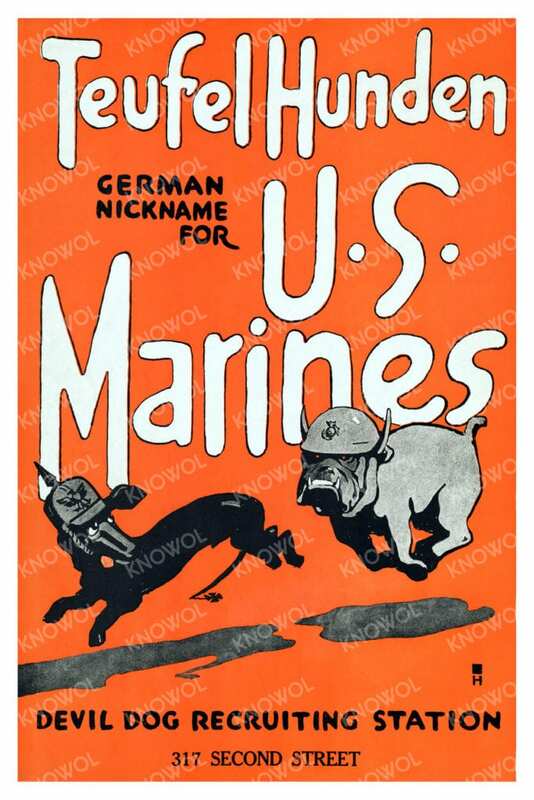 This “Devil Dog Recruiting Station” poster from World War I reads “Teufel Hunden German nickname for U.S. Marines.” Teufel Hunden means “hells dogs”, and was a name used by German soldiers to describe U.S. Marines in World War I. The poster was created by C. B. Falls in 1917. 2. Join the U.S. Marine Corps. Soldiers of the Sea! EEE-YAH-YIP! was a battle cry used by Marines during World War I. According to Boy’s Life March 1919, the battlecry was adopted from the bushmen of Australia, and was taught during training at Paris Island and Quantico. 4. 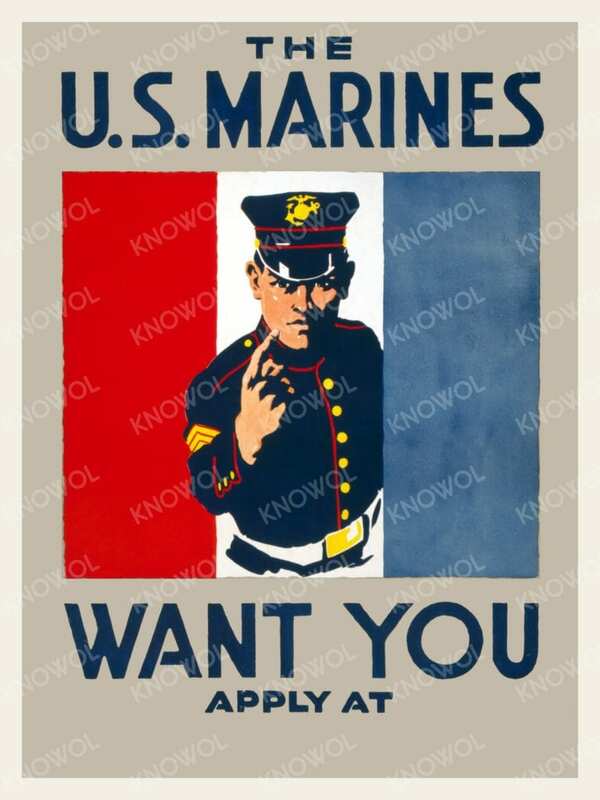 The U.S. Marines WANT YOU! This recruiting poster was created by Charles Buckles Falls in 1917. C.B. 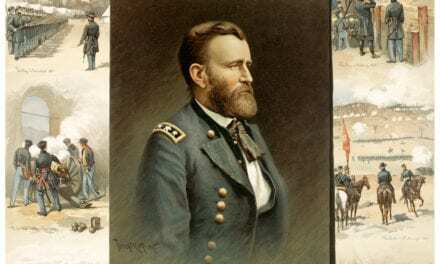 Falls was a prominent artist for the Marines, and is also the creator of the Teufel Hunden and EEE-YAH-YIP posters above. This C.B. 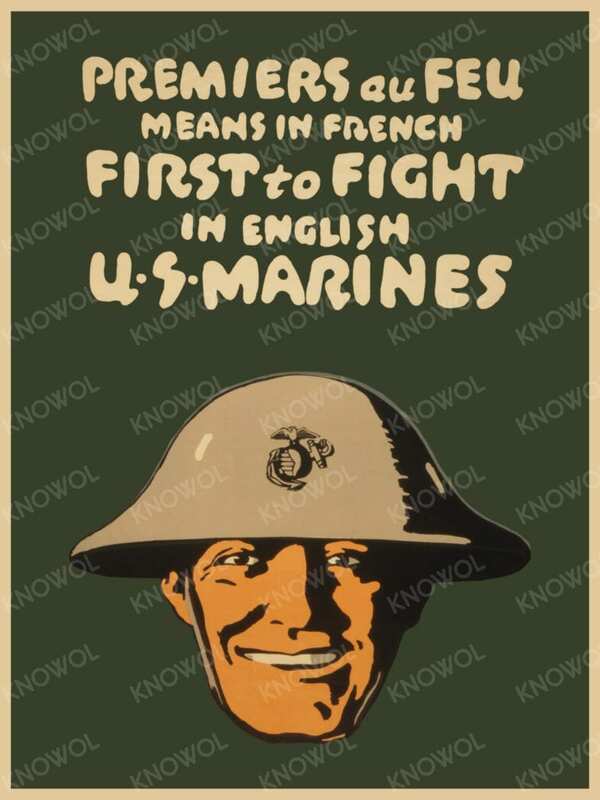 Falls recruiting poster from 1917 shows a Marine in a helmet and the text “Premiers au feu means in French first to fight, in English U.S. Marines”. 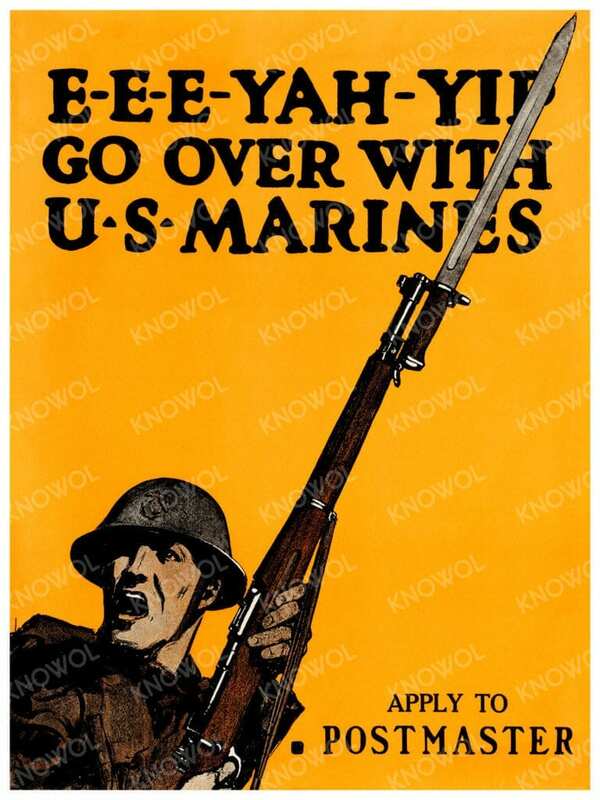 This recruitment poster for the Marines was created in 1918 by John A. Couglin, a popular pulp artist of the early 20th century. 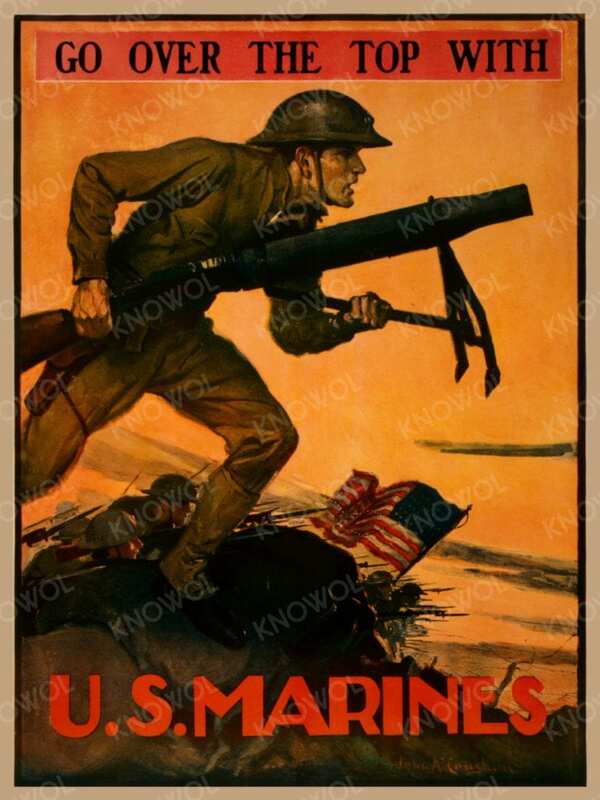 The poster shows a Marine carrying a mortar into combat. 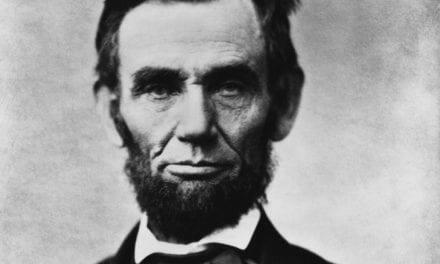 An American flag can be seen in the distance. 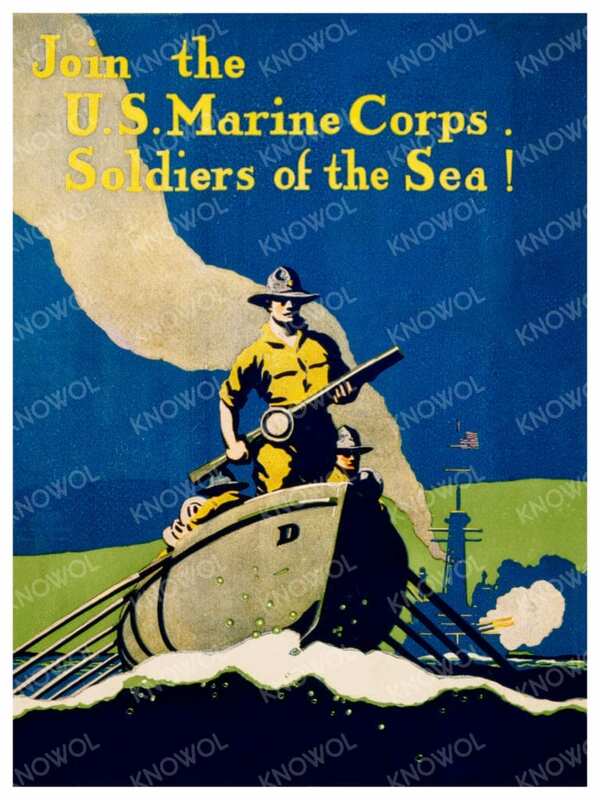 These historic U.S. Marines recruiting posters will make an attractive addition to your office, library, or den and are a great way to preserve some U.S. Marines history. When you’re done exploring, click here to get a reproduction.